From Alaska’s frigid Anchorage to Louisiana’s sultry New Orleans–the latter where he now resides–Chris Lee picked up a few talents along the way. While he grew up working construction jobs all over what he calls “the Alaskan bush” for his father’s oil boom-era company he graduated from New Orleans’ Tulane University with an MS in something called Cellular and Molecular Biology. 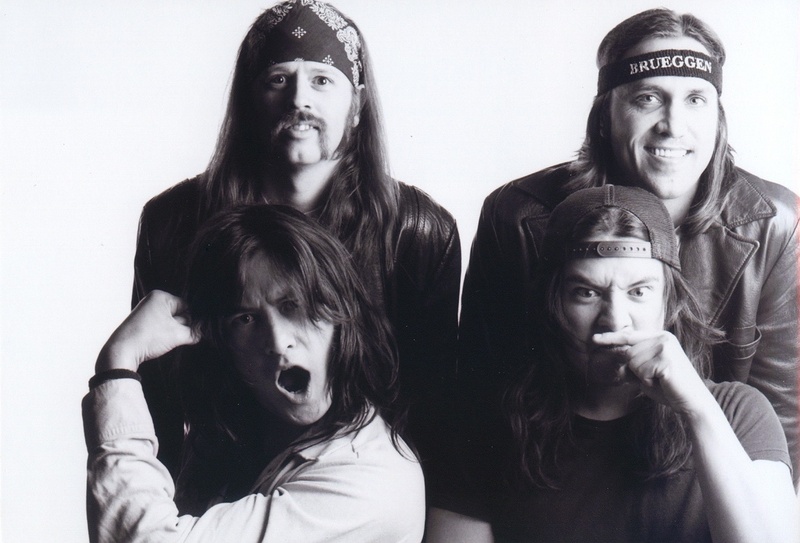 Then the self-described “Chinese redneck” became a rock star, making the Big Easy his base while touring the world with his alternative rock band. If you see him with his salt-and-pepper shag and his all-black threads, driving his black-on-black Dodge Challenger around the Irish Channel corridor of New Orleans, you’d tag him as that. Rocker. A person of interest at the very least. Yet Lee, 48, who lives in a Goth-inspired manse–appointed with vintage sideshow rarities and spooky curios–wears more hats, and faces, than Dr. Lao. The son of a preacher woman (Assemblies of God) fronted the cult band Supagroup for 15 years. 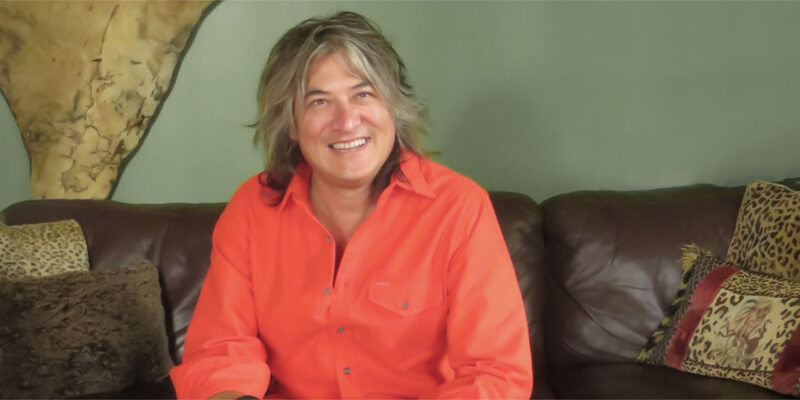 He now produces, writes, and directs film and TV projects (ranging from Disney puppet shows to Professor Longhair bio pictures), while making a solo album, Protest Songs and Party Anthems, on which he sings and plays guitar. His wife, Sean Yseult, is her own story. The former bass player for White Zombie is now a noted photographer and wallpaper designer. Creepy and kooky? Weird-dot-com, they are not. Fixtures of both the Uptown Garden District’s social X-ray fray, as well as downtown dive bars and live music clubs, the couple (who keep a Lower East Side flat too) organically traverse the city’s crescent, and are quite nearly emblematic of what it means to be New Orleanian. And did we mention, that Lee–whose mischievous eyes inevitably flicker with a joke in his noggin (he isn’t sharing) and his face is as animated as Flubber–is, well, funny? Herewith, a taste of his particulars. What accomplished notable, live or not so much, has influenced you? Bruce Lee, according to family legend, is a distant relative. Whether true or not, his life has influenced me to try to always do my own thing, whatever it is that is moving me at the moment, and to be the best I can be at it. Where do you go to be under the influence? My favorite watering holes are restaurants. In New Orleans, Uptown’s very local French bistro Le Crepe Nanou. And in Manhattan, my buddy Chef Riad Nasr’s new Tribeca spot, Frenchette. What do you like about Mr. Spock? You did a bang-up job looking like him, we hear, one Fat Tuesday. The tension between Spock’s logical mind and uncontrollable emotions has always “fascinated” me. I quite identify with it. Living in that role, even for a day at Mardi Gras, is really fun. Let’s see…I am producing and co-wrote a musical biopic about “Professor Longhair,” the king of New Orleans rock-and-roll and funk; It’s set during Mardi Gras.” I have a one-hour drama about Ernest Hemingway’s early life. It’s called “Becoming Hemingway.” Musically, I’m getting ready to put out an album and tour a little under my new solo band moniker: The Chris Lee Band. My old band Supagroup and I just played a few shows opening for Cheap Trick and Steel Panther. A Dodge Challenger…because I don’t have kids. Growing up in Anchorage, my friends and I would sneak onto the links after closing time and play a-beer-a-hole golf. The midnight sun keeps the game going almost all night in the summer. Why do you like puppets? Puppets are fun because you can get away with telling stories you couldn’t tell with live-action people. Case in point: this Disney pilot development project I put together, “Frenchy and Jett.” It seems pretty innocent, but it’s actually pretty messed up. What makes a great bar? A large tequila list, Appletons rum, and most importantly, good people running it. I love to cook “40 Cloves of Garlic Chicken” at home. It’s about 50 percent Garlic, 50 percent chicken, and 75 percent butter. Tastes like a heart attack. Most amazing place in your travels. I love the Mediterranean, all of the beach towns of Spain, France, and Italy. I could swim in that ocean forever–all while the James Bond theme plays in my head on constant loop. Very hard to choose. Why can’t I be trapped on a deserted island with both of them, for years? Lard bread from Parisi’s Bakery in New York City’s North Little Italy zone. 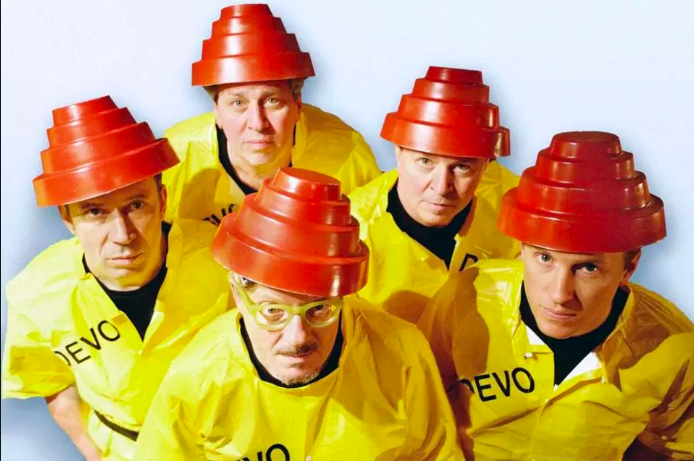 DEVO created its own language, devolved society, fashion, art, and sound. Collectively they create a world I am both scared of and want to live in. “Network” is perhaps the perfect movie…and goddammit, if it isn’t still dead on 40 years later. Being lied to when I can see the truth with my own eyes. At least try to fool me.